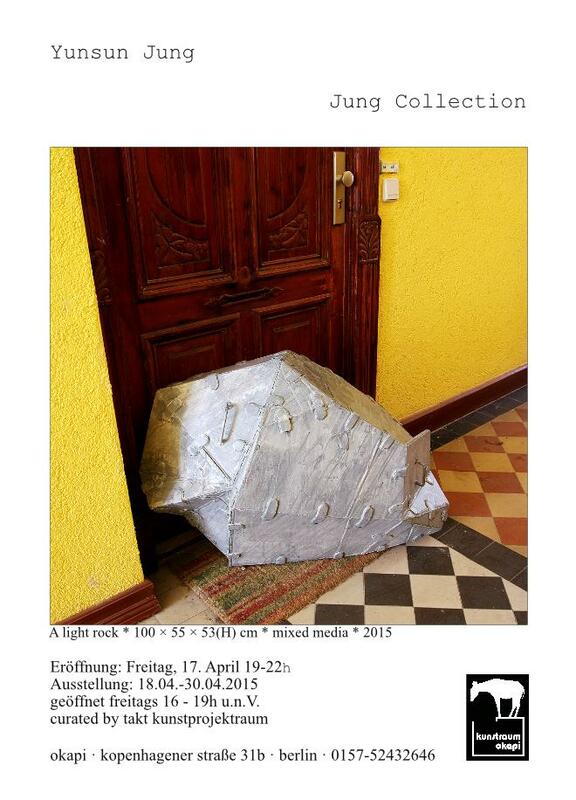 Takt Kunstprojektraum is happy to present The Jung Collection. Yunsun Jung is a visual artist who's work mainly considers what the role of art is and how it communicates within contemporary society. In particular, she focuses on a specific site in which observed phenomena and conditions have been newly interpreted and represented through her practice. Jung Collection is a work that converted its place, provided as a studio and living space during the period of the Takt residency program in Berlin into a kind of collection and bunker. The concepts of ‘collection’ and ‘bunker’ in this work derive from the Boros Collection in Berlin.